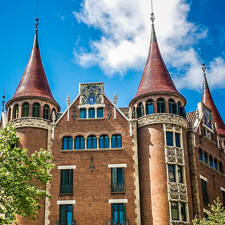 Result of your search for "agenda"
Barcelona Obertura Classic and Lyric is a new venture that brings together the city's key classical music venues: the Gran Teatre del Liceu, L'Auditori and the Palau de la Música Catalana. 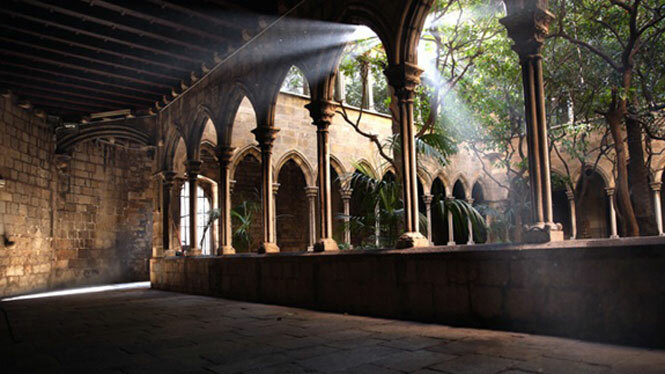 Already well-known to many for their top-class performances, this latest association aims to extend their global reach and reputation even further, and demonstrate Barcelona's wealth of classical music programming. 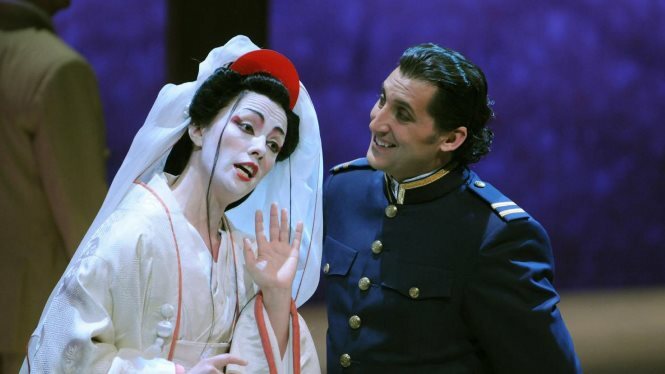 Winter in Barcelona opens the season 2019, a season full of unmissable events such as Madame Butterfly hosted by Liceu, Emmanuel Pahud & Eric Le Sage hosted by L'Auditori and Magdalena Kozená & Mitsuko Uchida hosted by Palau de la Música Catalana. It dates back to over half a century and can boast that it offers live music 356 days a year. The Sala Jamboree is the Barcelona temple of jazz par excellence, where great legends and young promises of jazz have played. Figures like Bill Coleman, Kenny Drew, Chet Baker, Ponny Poindexter, Art Farmer, Lou Bennet, Stéphan Grappelli, Kenny Clarke, Cecil Taylor, Elvin Jones, Steve Grossman and Al FosGordon have all been on stage. 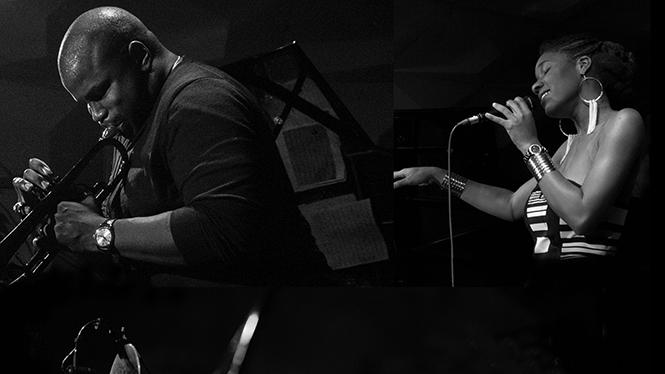 All styles are represented, from vanguard to Dixieland passing through bop, fusion, vocal jazz, mainstream, nu-jazz, tango-jazz, flamenco jazz and Latin jazz, without forgetting other Afroamerican styles such as blues and gospel. 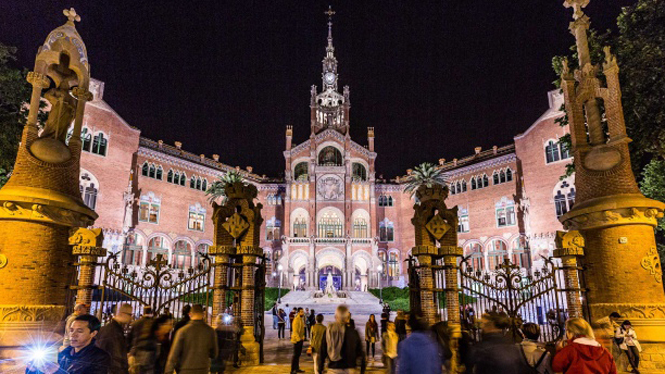 This venue is a cultural benchmark of Barcelona, which won the Gold Medal of the city. A large area, totally free of traffic, with different places to explore, most of them in the open air. 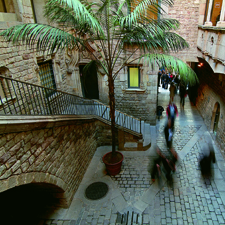 That's the Poble Espanyol de Barcelona, an iconic visitor attraction in the heart of Montjuïc. 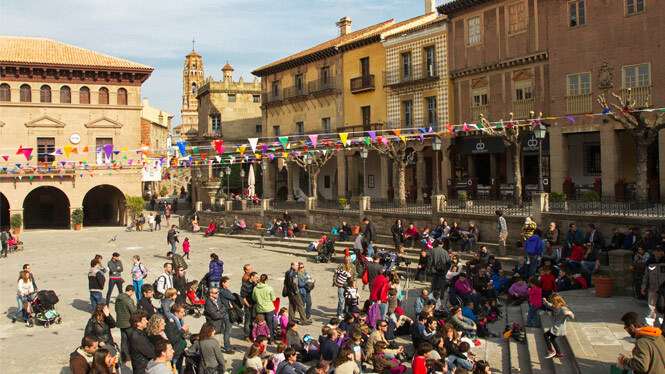 Every Sunday, there's a different activity: theatre, dance, music, magic, treasure hunts, etc. 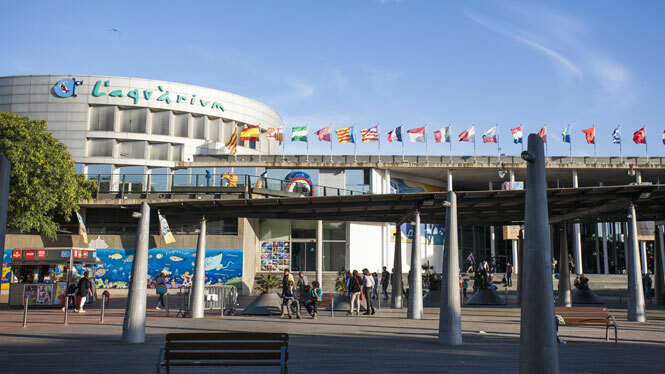 Throughout the year there are loads of activities to ensure you have a great day out with the family: Carnival, a Giants' Parade, a Puppet Festival, the Click and Go Fair, the Main Festival, the Medieval Fair, Christmas at the Poble, Halloween... and new additions, including a fantastic flower festival and Midsummer Eve party tailored to all the family. 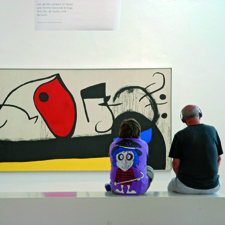 In short, a wide range of activities for all the family. Have you ever wondered how sharks are fed? The divers feed the sharks with the help of rods onto which is impaled their favourite food, such as oily fish and squid. The greediest of them all – the penguins! You can watch how they are fed in the Planeta Aqua Room twice a day every day of the week. Everyday at between at 11.30 am and 4.30 pm. The rays don't want to go without their food either. As soon as they see their keepers, they move in to eat. Be careful you don't get splashed though! L'Aquàrium has organised exactly what you've been looking for. Become a scuba diver for a day, and when you're underwater in the Oceanarium, you'll have sharks and thousands of fish swimming beside you. Your adventure as a scuba diver begins with your first dive. Then it's time for L'Aquàrium de Barcelona's main tank. With one of L'Aquàrium's instructors by your side, and while breathing underwater, you'll be able to observe all of our guests: sharks, rays, moray eels, moonfish, etc. And you'll be sharing the experience with your family or friends watching from outside the water. Come and enjoy our facilities and you'll discover all of the hidden mysteries of marine animals. Feel the magic of football you can only dream of. The world's top players bring you the best footballing spectacle. 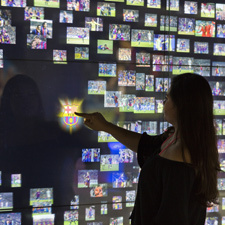 Come and enjoy all the matches Barça has to offer this season: from the traditional Trofeo Gamper to the thrilling Champions League and the always-fascinating La Liga. The Camp Nou is a stadium where, from August to June, sporting spectacle knows no limits: La Liga, La Copa and the Champions League. A series of matches that go beyond the boundaries of sport. Unique and unforgettable experiences shared with more than 98,000 people at Europe's biggest football stadium. Come and see the world's top players, like Messi, Coutinho, Rakitic, Piqué and Luis Suárez, giving the best display of international football. Sheer magic you can enjoy live and in the flesh. 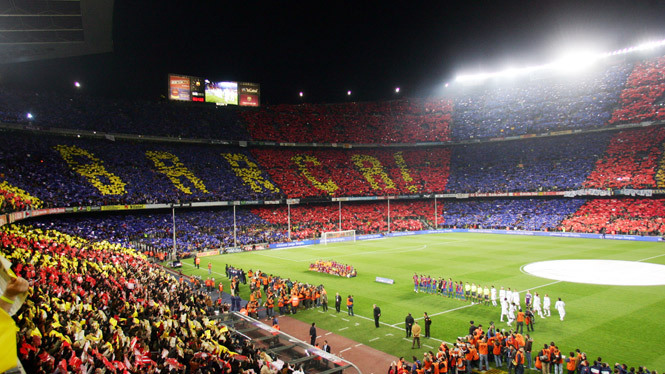 The Camp Nou is a must-see place on your trip to Barcelona. It isn't just football… it's sheer spectacle. 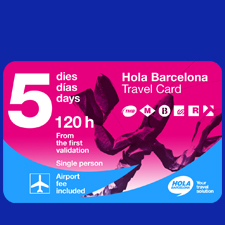 And if you also want to enjoy top-level basketball, come along to the Palau Blaugrana, right next to the Camp Nou, where Barça pit their skills against top teams from around the world. The Real Club Deportivo Español is one of the oldest football clubs playing in the Spanish league and this is your chance to see its new signings before the season kicks off. 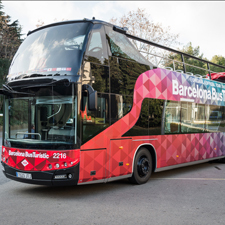 Enjoy all the La Liga matches of the season at the stadium. Feel an essential part of the team! An unbeatable start to the season when the club renews its enthusiasm with the support of thousands of fans who come to see the match which kicks off La Liga in the best way possible. The match marks the beginning of the first-division football season. The RCDE Stadium, which has been classified as a 4-star stadium by UEFA, will play host to some of the matches throughout the year. 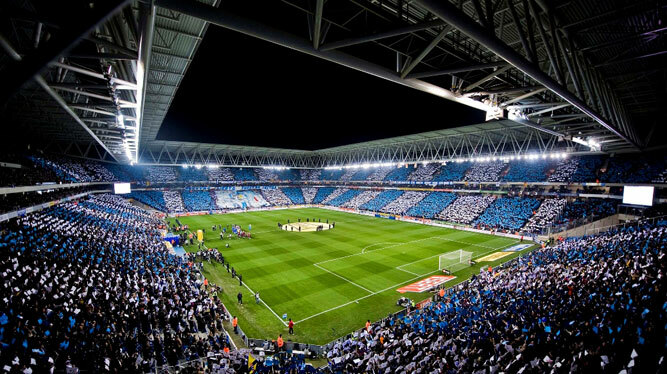 The 40,000 Espanyol fans will accompany their team every week to ensure they get to the top of the league table. 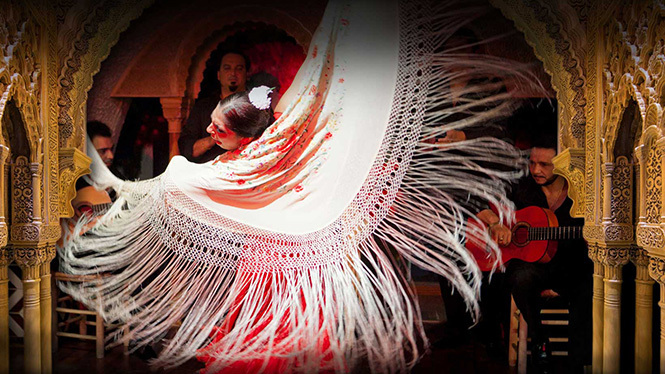 Tarantos has been hosting the best flamenco in Barcelona since 1963. Through all these years and into the present day, the 'tablao' has featured the top names in flamenco. 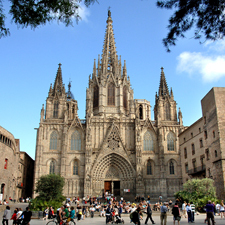 Barcelona welcomed hundreds of thousands of immigrants from southern Spain in the Sixties, becoming the epicenter of an evolution from the Andalusian genre thanks to the superlative quality of the performances and a certain leaning towards heterodoxy, which led to the emergence of phenomena such as the Catalan rumba and the proliferation of the 'new flamenco'. Over the last few years, the Mas i Mas Group has opted to distill conventional flamenco shows into a concentrated celebration of flamenco guitar, song and dance. Our current emphasis is on a series of performances by some of the country's very best emergent flamenco troupes.